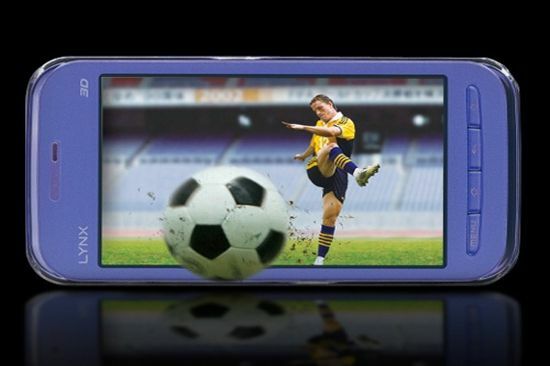 HTC have announced the European launch of their new EVO 3D Android smartphone, which joins the recently launched LG Optimus 3D. But does it mark the start of an exciting new era in 3D phones, or are handset manufacturers late to the game and simply backing last year’s passing fad? In recent years we have seen a huge growth in 3D films – after cinema box-office smashes like Avatar were shown in Real 3D at the cinema a few years ago we have been inundated with 3D movies, so much so that it has become hard to see a movie in 2D. We have also seen the launch of countless 3D televisions from all the major brands and at CES last January you could hardly move for all the new 3D sets being launched. On the gaming front, we saw Nintendo launch their 3DS portable console, offering a selection of 3D games featuring Mario and friends in glorious glasses-free 3D. We now have the choice between two glasses-free 3D phones from HTC and LG, but rather than being the next big thing I propose they have arrived just as the interest in 3D shows signs of decline and deliver compromised screens as a result. To start with we are already witnessing a decline in the appeal of 3D movies. A recent report, shows that the majority of the audience for Disney’s Pirates of the Caribbean: On Stranger Tides opted to see the 3D film in good-old 2D. The same also happened with DreamWorks Animation’s Kung Fu Panda 2 a few weeks later. In addition, sales of Nintendo’s 3DS dropped sharply after just a few weeks of sale, both in the US, Europe and Japan. Wired reports that this could be due to the high cost of the device or the lack of quality 3D games. But it’s not just the declining interest in 3D, these premium phones have compromised their displays in order to deliver that 3D image, resulting in phones that deliver everyday features that are no better than entry level smartphones at a fraction of the price. 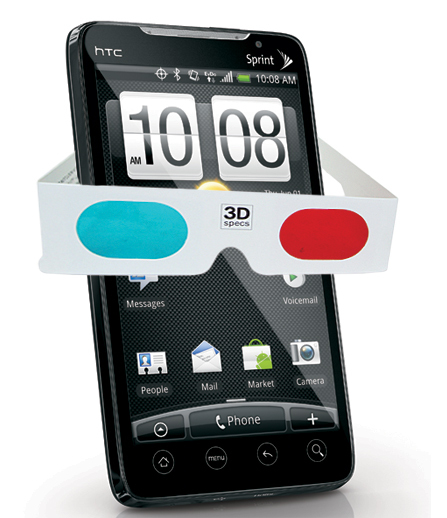 For example, even though the HTC Evo 3D has the same 960 x 540 resolution display found on the recent HTC Sensation, in order to deliver the glasses-free 3D image it uses a parallax barrier to send 480 lines to the left eye and 480 to the right – this effectively delivers just half the actual screen resolution. This reduced resolution 3D processing cannot be turned off either – there is a 3D on/off button but that only switches between 3D and 2D on the camera and not the display. Personally I would rather have the full, sharp 960×540 resolution available for web browsing and other phone tasks that I perform very regularly. Whatever happens to the 3D phone market and the importance it has on your brand through your web properties, marketing campaigns and the apps you develop, the best advice is to deploy a quality mobile analytics solution, like Bango Analytics, and measure the actual uptake of 3D phones within your own customer base. As VP of Product Marketing at Bango, my goal is to make sure we create the best products for app stores to deliver direct carrier billing. This entry was posted in smartphones, trends and tagged HTC, smartphones. Bookmark the permalink.